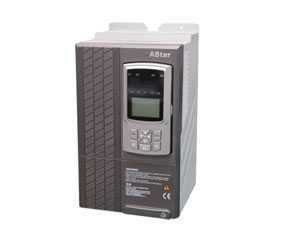 The AS160 frequency inverter is classified into fan inverter and water pump inverter according to its application. Our water pump inverter is a newly developed AC drive for industrial and civil use water pumps. It is flexible and convenient to use, and provides water supply system with multiple functions, like constant pressure water supply, and water pump switch functions, etc. Our fan inverter and water pump inverters are designed based on international advanced electrical motor control technology, so they offer superior motor control performance. In addition, we also make improvements on our fan inverter and water pump inverter according to market demand and its working environments, making our frequency inverter ideal for use on not only fans and water pumps, but also mixers and conveyors, etc. With multiple frequency-setting methods, our fan inverter and water pump inverter are able to meet users' diversified application demands. 1. Username and password are necessary while starting our fan inverter and water pump inverter, which ensures system operation safety. Meanwhile, the low inductance bus also helps ensure operation safety. 2. New type PWM inverter dead time compensation method and dynamic carrier modulation technology help effectively reduce the noise and losses in electric motors. With automatic rotor copper loss compensation function, our fan inverter and water pump inverter can ensure the constant speed of electric motors. 3. With PID control function, our fan and water pump inverters can achieve process control conveniently. Also, they come with automatic voltage regulation function, so they can keep constant voltage output even when there is power grid voltage fluctuation. In addition, our fan inverter and water pump inverter are designed with frequency hopping control function to effectively avoid the resonance point of mechanical loads, and rotational speed tracking function to allow a rotating motor to start again smoothly. 4. STEP fan inverter and water pump inverter have reliable structure design. They have independent air duct, and compact structure, and are resistant to water, dust and vibration. Meanwhile, they can work at wide range of input voltages, and are designed with automatic detection function when powered on, complete terminal protection, overheat alarming, whole machine protection, high precision electrical circuit detection and protection, and more functions. With multiple V/F curves, the frequency inverter is ideal for water pumps and related variable-torque loads. Without a need of PLC or water supply system controller, the water pump inverter allows the water pump to realize commonly used water supply functions. To illustrate, it mainly supports two types of water supply modes, namely standard variable frequency pump water supply and circulating pump water supply. The water pump inverter is able to control different types of water pumps, including standard pumps, sewage pump, fire pump, etc. It can control 7 pumps synchronously. Meanwhile, it allows water pumps to work alternatively to make sure the operation time of each water pump is almost the same. When the water pump inverter is used for sewage pump control, it can offer automatic water level detection function to control the water level for sewage pools. The liquid level detection and control function is also available for water reservoirs, and the inverter can adjust the pumping pressure according the liquid level. In addition, our water pump inverters enable water pumps to offer different pumping pressures in maximally 8 time slots, so as to satisfy the changing demand for water supply. Through the combination of input terminals, the water pumps can then work with 16 types of pumping pressure. 6. Both our fan inverter and water pump inverter have over-voltage and under-voltage alarming function. Meanwhile, they can output serial communication signals through the programmable relay, thus achieving the barrier-free communication between the inverter and its control computer and making automatic control and management possible. Digital input/output Digital input 8 input channels. Input function can be user-defined. Relay output 4-output channels, Normally open and close contacts are available Contact capacity: resistance,5A 250VAC or 5A 30 VDC Output function can be user-defined. Unique functions Parameter copy function The standard operation panel can realize the parameter upload, download and display the copy progress. The user can select the upload forbidden function to avoid parameters be overwritten. Power on self test Our fan inverter and water pump inverter are able to realize the power-on auto-detection of internal and peripheral circuits, including motor grounding, abnormal +10v power supply output, abnormal analog signal input, and disconnection, etc. Radiator overheat protection Storage temp. Note: As for fan inverter and water pump inverters for 4-pole AC motor (1500r/min) with higher power and voltage class, please contact STEP Corporation. Be sure to check the motor nameplate to make sure selected water pump or fan inverter is compatible with the motor. STEP is a professional fan inverter, water pump inverter manufacturer based in China. We provide a vast array of products including elevator inverter, full serial VVVF control cabinet, elevator group control system, and more.